Nigeria has lifted a law which forced hospitals to withhold emergency treatment from victims of gun attacks until a police report had been filed. Officials revoked the law, in place since the 1980s, over concerns about a rising death rate from bullet wounds. It comes weeks after newspaper editor Bayo Ohu died from bullet wounds after a hospital reportedly waited for a police report rather than treat him. 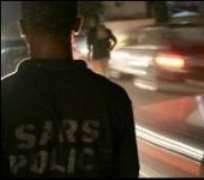 Nigeria is notorious for gun-related crime including kidnapping and robbery. Earlier this year its commercial capital, Lagos, topped a poll of the world's most dangerous places to work. The BBC's Raliya Zubairu, in Abuja, says the government is threatening to withdraw the licences of any clinics failing to abide by the new ruling. The killing of Mr Ohu, who worked on Nigeria's Guardian newspaper, increased the clamour to change the law on emergency treatment for gunshot victims. He was attacked by gunmen in his home on 20 September. After his death senior politicians including Senator Osita Izunaso launched a campaign to have the law changed. He told the senate: "A situation where our medical practitioners, on the basis of police report, refuse to treat victims of gunshots who are left to die is inhuman and callous." Police chief Uba Ringim confirmed that all police stations had been ordered to inform clinics in their vicinity that the rules had changed. "We have sent out circulars and have warned our men not to query any hospital that treats accident or gunshot victims," Nigeria's This Day newspaper quoted him as saying. "It is unfortunate that hospitals refuse to give care. What is important is to protect lives, treat them, give them all the attention and later contact the police with all the information."